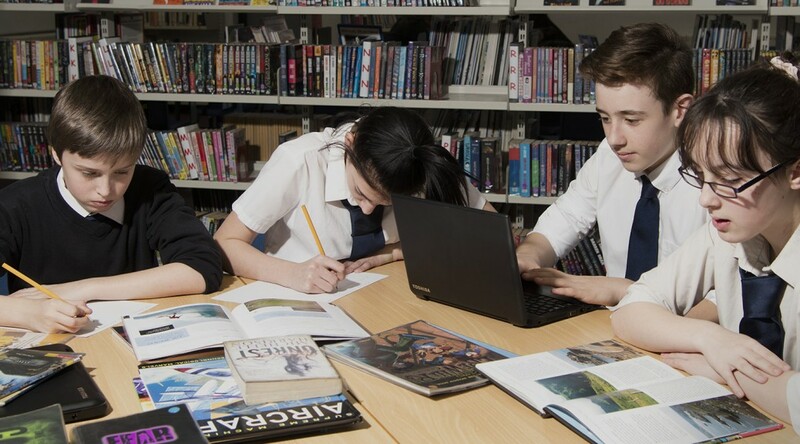 Whilst you are at school the library offers you access to a wide range of information both printed and digital, promotes reading for enjoyment and provides a calm, positive environment for you to work in. We aim to support you in becoming successful learners. There is a wide range of fiction books, including a Hi-Lo collection to support reluctant readers and a Graphic Novel collection. A range of information books both reflect and extend the curriculum as well as supporting interests and hobbies outwith of school. The library has 21 networked pc’s and 10 netbooks which are available for use before and after school and can be booked in advance for use during lunchtimes.